What are the Scream Queens up to now? Star Lea Michele recently teased some new, bloody details about season two to TVInsider. The new season of the FOX series takes place three years after season one and is set in a mysterious hospital. 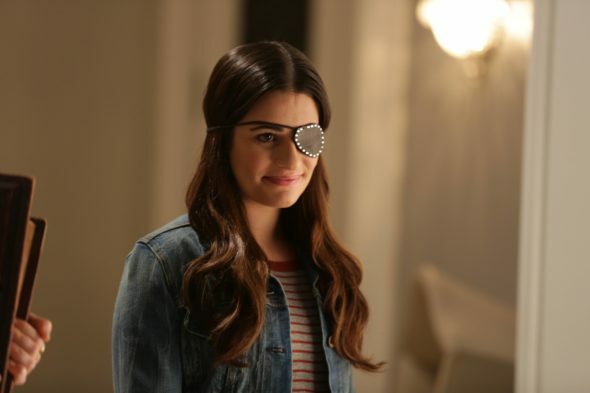 The cast includes returning stars Jamie Lee Curtis, Emma Roberts, Lea Michele, Abigail Breslin, Keke Palmer, Billie Lourd, Glen Powell, and Niecy Nash as well as new castmembers John Stamos, Taylor Lautner, and Kirstie Alley. Season two of Scream Queens premieres tonight, September 20th, at 9 p.m. ET/PT. What do you think? Are you a fan of Scream Queens? Are you excited about the new season?